Recently got an exciting delivery from the printers - our very own wedding invites that I designed in colaboration with my fiance. The main invite was letterpressed by a Brisbane company called Creative Emporium. 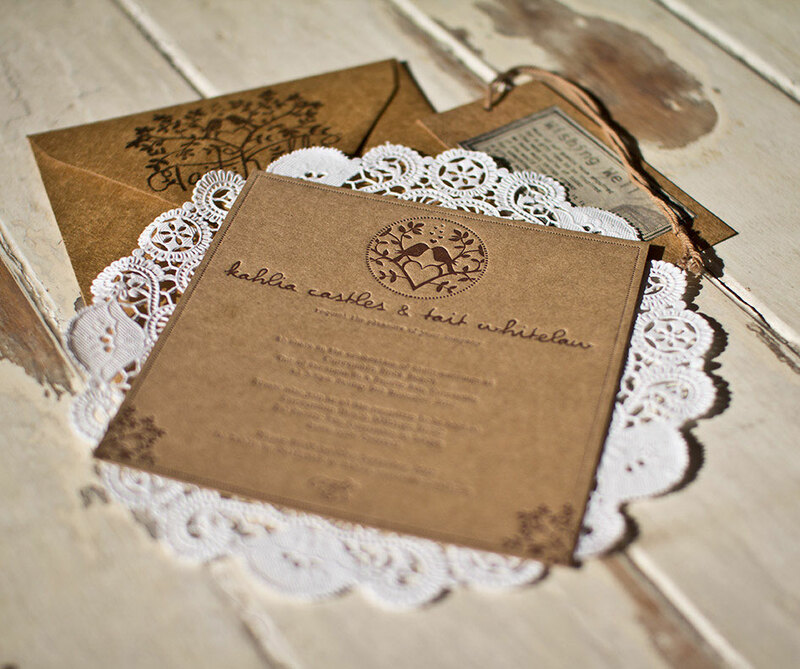 Going with the theme of the wedding night a paper doily was gluded to the back and then folded to fit into the square envelope. A custom stamp was made up for the back of the envelope that has both mine and my fiances name and for the wishing well we bought some swing tags and stuck on a little poem. Need something unique for your wedding day? Contact Freshcoat Creative and have a chat.